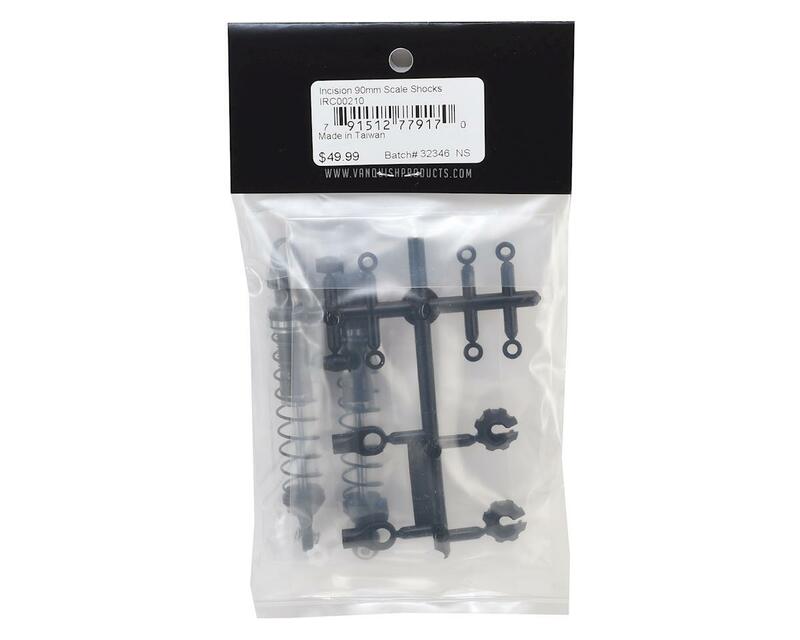 The Incision 90mm Scale Shocks Set is a high performance scale shock upgrade that will deliver smooth damping and optimum performance on your scale rig. NOTE: Vanquish recommends 37.5-40wt oil as a starting point. Start there and adjust as needed to fine tune the damping to suit your application. 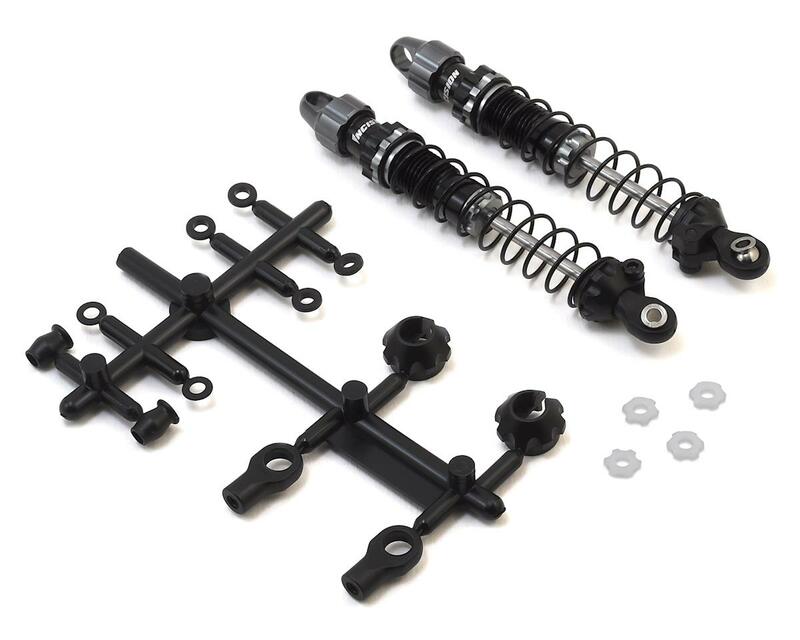 For the ultimate scaler shock package, combine these shocks with Incision Black Diamond shocks shafts, and the Incision Scale Shock Spring Tuning Kit!